Robert T. Marsh was born on 3 January 1925 in Logansport, IN. Marsh graduated from Logansport High School in 1942 and was attending Wabash College in Crawfordsville, IN, when he was inducted into the U.S. Army Air Forces in 1943. As an enlisted man in the Army Air Forces for almost two years, he completed both aircraft mechanic and aerial gunnery training on B-17s and B-24s. In July 1945, Marsh received a Regular Army appointment to attend the U.S. Military Academy. He graduated in 1949 with a Bachelor of Science degree in Military Arts and Sciences, and a commission as a Second Lieutenant in the U.S. Air Force. Following graduation from the USMA, he attended the Air Tactical School at Tyndall AFB, FL, and in December 1949, entered preliminary technical training at the Atomic Weapons and Radiological Safety School at Keesler AFB, MS. In July 1950, he joined the Armed Forces Special Weapons Project as an Atomic Weapons Assembly Officer at Sandia Base, NM. Later, he was assigned to the cadre of the 5th Aviation Field Depot Squadron, an atomic weapon assembly and storage organization, and went with the squadron in 1951 to Sidi Slimane Air Base, Morocco. In December 1952, he transferred to Headquarters 7th Air Division, Strategic Air Command, South Ruislip, England, where he served as an Armament and Electronics Staff Officer. From September 1954 to June 1956, Marsh attended the University of Michigan under the Air Force Institute of Technology program. In July 1956, he was assigned to Headquarters Air Research and Development Command with duty at Wright-Patterson AFB, OH, where he served as Project Officer in the SM-64A Navaho and TM-61-76 Matador/Mace weapon systems project offices. Following Air Command and Staff College in July 1960, Marsh was assigned to the Ballistic Missile Division, Air Force Systems Command, Los Angeles Air Force Station, CA. He returned to Maxwell AFB to attend the Air War College from August 1964 to June 1965. He was assigned to Headquarters U.S. Air Force, Washington, DC, in July 1965 in the Office of the Deputy Chief of Staff, Research and Development, as a staff officer in the Directorate of Reconnaissance and Electronic Warfare. He later became Chief of the Projects Division in the Directorate of Space. He completed his tour of duty at the Pentagon as Executive Officer for the Deputy Chief of Staff for Research and Development. 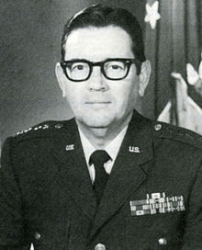 In September 1969, Marsh returned to Wright-Patterson AFB as Deputy for Reconnaissance, Strike and Electronic warfare. In June 1973 he received his first assignment to Air Force Systems Command Headquarters as Deputy Chief of Staff for Development Plans. He became Deputy Chief of Staff for Systems in October 1973 and was appointed Vice Commander in August 1975. He was Commander of the Electronic Systems Division, Hanscom AFB, MA, from May 1977 to January 1981. 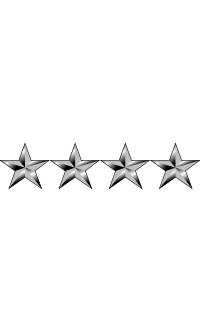 On 1 February 1981, Marsh was promoted to the four-star rank of General and assumed Command of Air Force Systems Command. General Marsh retired from the Air Force on 31 July 1984. 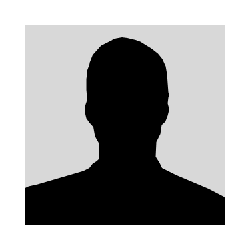 While he was in the Air Force he earned Master of Science degrees from the University of Michigan in Instrumentation Engineering and Aeronautical Engineering in 1956. He also completed Air Command and Staff College and the Air War College; both schools are located at Maxwell Air Force Base, AL.